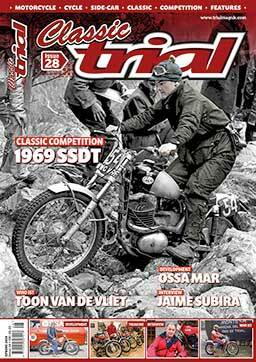 There is now less than a month left to get your entry for the Pre’65 Scottish Trial completed and returned to the Secretary before the 3pm deadline on Friday 7 December 2018. If you wish to enter you had better get your skates on and get those entry forms completed and sent off soon. You are reminded to please read the guidelines before completing the entry form and remember to send the correct size of pictures (A4 landscape) one for each side of the bike and make sure the pictures are clear. If we can’t see the components in the picture, your entry will not be accepted. Ensure the correct postage is paid as we do not collect nor pay for letters with insufficient postage and they will remain undelivered. The list of entries received will be updated regularly so please keep an eye on our website and facebook pages over the coming weeks. The route planning is well underway for 2019 with the team set to give us another cracking trial to enjoy.